Scottish indie band Franz Ferdinand are threatening to resurface after three years out of the limelight. Once the darlings of the music press and so adored that singer Alex Kapranos was even given his own food column, the group disappeared off the radar. Little has been heard from them since their 2009 album Tonight Franz Ferdinand, and they haven’t played a full concert in two years, but they are planning some live dates to coincide with the imminent release of their fourth album. They have lined up some festivals across Europe and Japan in the summer, with appearances booked at Primavera Sound, Berlin Festival, Osheaga festival, Open'er festival and London's Field Day. In the meantime, they will remind themselves of how to plug in guitars and arrange a microphone stand with some low-key shows in Ireland, where they will be trying out some of the new material. Coinciding with their return to the live arena, Kapranos seems to have developed a fondness for hotel room drinks cabinets judging by the frank and discursive nature of a recent Twitter chat with fans. 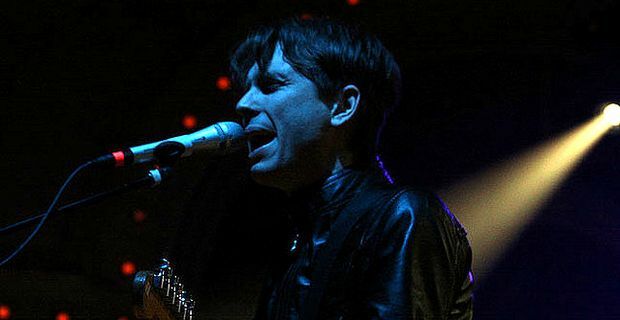 Among rambling commentary on a broad range of subjects, Kapranos advised aspiring musicians never to cover Oasis songs. "Nothing personal," he tweeted. "Just because everyone does. And they're so f***ing boring." Pressed on the issue he admitted, "Yes, I know. I'm just being confrontational for the sake of it and why the f**k not?" Why not indeed when the forgotten men of indie need to grab some attention for their comeback?